A bipartisan pair of Congressmen joined forces Thursday to put important questions to the Federal Aviation Administration regarding the agency’s plans to open up American skies to thousands of surveillance drones. Reps. Joe Barton (R-Texas) and Edward Markey (D-Mass.) 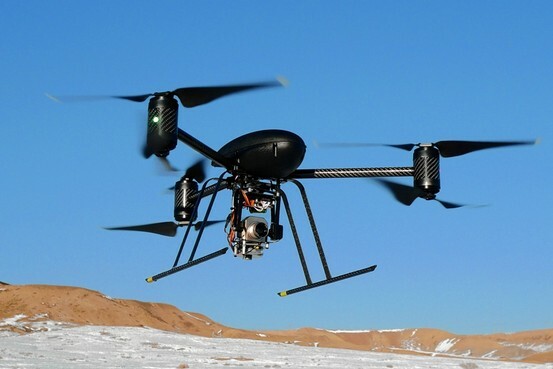 penned a letter to the FAA demanding answers on how the federal agency will protect the Fourth Amendment rights of American citizens if and when the use of unmanned ariel vehicles by government, law enforcement and private companies increases. “There is…potential for drone technology to enable invasive and pervasive surveillance without adequate privacy protections.” the Congressmen’s letter stated. “We are writing to express our concerns about the law’s potential privacy implications and to requisition information about how the FAA is addressing these important matters.” it continued. “Many drones are designed to carry surveillance equipment, including video cameras, infrared thermal imagers, radar and wireless network ‘sniffers,’ ” the representatives wrote. Barton and Markey are acting in their roles as co-chairmen of the Congressional Privacy Caucus. The FAA declined to comment on the lawmakers’ letter, however the agency has today released information regarding where drones are currently being flown and who is flying them. The documents were released to the privacy watchdog The Electronic Freedom Foundation (EFF) after the group sued the agency for initially not responding to a Freedom of Information Act request in January. The FAA documents show which private companies and government entities currently have a certificate to fly drones in US airspace. They include Raytheon, General Atomics, Telford Aviation, AAI Corp, Honeywell, Unmanned Systems Inc, L-3, and Aurora Flight Companies, as well as government agencies DARPA, the FBI, the Departments of Energy, Agriculture, & Homeland Security, and branches of the military. As we reported in February, Over 30 prominent watchdog groups have banded together to petition the FAA on the proposed increase in the use of drones. The groups, including The American Civil Liberties Union, The Electronic Privacy Information Center and The Bill of Rights Defense Committee, are demanding that the FAA hold a rulemaking session to consider the privacy and safety threats.